Here at The Garage in Santa Barbara we are Land Rover Repair and Maintenance for Santa Barbara with a full service facility that offers factory trained Land Rover technicians at independent shop pricing with personalized service. We are ASE certified and factory trained in Land Rover and Jaguar diagnostics and repairs. The Garage has all the latest diagnostic equipment for Land Rovers including IDS and T-4. We also perform factory recommended scheduled maintenance services to maintain your factory or extended warranty. See the ‘Recommended Service’ section for some of the scheduled maintenance we offer. 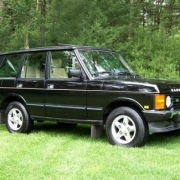 Full Service Factory Trained Land Rover Repair in Santa Barbara. Give us a call at 805-845-5332 or swing by for a free estimate!